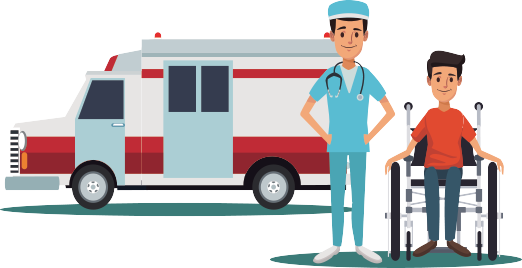 Urgent care is a medical care service which is given to those who have an injury or medical condition that needs fast medical attention or treatment. Also, it is less expensive to acquire urgent care service than going to the ER or emergency room. The medical care which is required is within 24 hours after a minor accident has occurred or you become sick. Usually, urgent care is a clinic or center which is not associated with a medical institution but might be on the same grounds as the hospital. Lots of time patients who go to this kind of clinic do have a regular doctor, but they cannot get in that day to see their physician, or it’s after hours at their doctor. Once their medical condition or medical illness isn’t serious or not life-threatening to warrant a trip to the ER they can decide to go to an urgent care clinic instead. These kinds of medical centers started to come up in the year 1970, and lots of time medical insurance providers strongly encouraged their clients to utilize these walk-in medical centers each time they needed medical assistance, and either didn’t have a regular doctor or couldn’t get into seeing them. The reason that medical insurance companies encouraged their clients to utilize them was that of the low charge. The patients could also have their conditions cured before they reach the emergency condition and a trip to the ER were required. One good example is when your kid has a sore throat, and it was cured within 24 hours it was extremely manageable and can be handled and cured with medicine for that condition and perhaps an antibiotic together with rest. Once this condition is ignored or taken for granted, it could become an extremely serious illness, most especially when it was on the weekend, and may need a trip to the ER. A lot of urgent care centers or clinics operate on a first come first served basis only. Therefore, if it is crowded or lots of clients you might need to wait a little bit for your turn. Some might need you to make an appointment, however, guarantee that you’ll be seen within 24 hours. Depending on the stage of the urgent care service, these centers can provide an array of medical services. When it becomes necessary, the urgent care service can send you to the ER. Urgent care can also carry out some basic medical testing, which takes account of medical imaging such as x-rays and ultrasound for the aim of diagnosing what your medical issue is. You’ll be suggested to make a follow-up visit with your regular doctor in the next few days or to go back if your condition becomes worse after you’ve been seen at urgent care. No doubt that urgent care helps a lot in addressing your medical issues fast. It helps prevent the condition from getting worse, and what is more, you can get the medical assistance you want fast.